Recently, Academia Europea released the 2018 academician cooptation results, and Professor Lang Jianpin from the College of Chemistry, Chemical Engineering and Materials Science of Soochow University was selected as a part of the Academia. We hereby sent our warmest congratulations to Professor Lang. It is learned that currently there are about 3500 academicians from 63 countries in Academia Europea, including 65 Nobel Prize winners and Fields Medalists. Altogether, three Chinese scientists have been added into the Academia this time, and the other two scholars are Researcher JinShuanggen from Shanghai Astronomical Observatoryof Chinese Academy of Sciences, and Professor Yang Tong from the City University of Hong Kong. 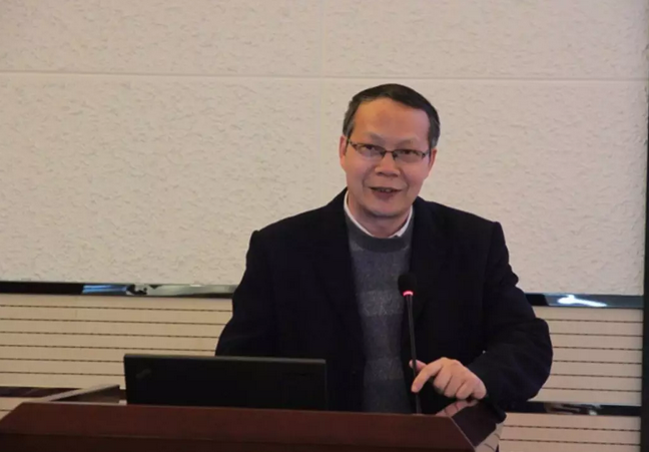 Lang Jianping, born in June 1964, and now serves as a professor and doctor supervisor of the College of Chemistry, Chemical Engineering and Materials Science of Soochow University. Meanwhile, Professor Lang is also the vice president of the academic degree evaluation committee of the College, and the secretary general of the secretariat of the committee. As the winner of the National Science Fund for Distinguished Young Scholars, Mr. Lang also stands as a distinguished professor under the Changjiang Scholars Program of the Ministry of Education, and a Fellow of the Royal Society of Chemistry (FRSC). After graduating from his undergraduate program at Soochow University in 1984, Professor Lang earned his doctor degree at the Institute of Coordination Chemistry of Nanjing University, and started his post-doctoral researches at the Department of Chemistry of Nagoya University and the Department of Chemistry and Chemical Biology (CCB) of Harvard University from 1995 to 2001. Professor Lang used to serve as the president of the College of Chemistry and Chemical Engineering, the director and Party secretary of the College of Chemistry, Chemical Engineering and Materials Science, and the president of the Graduate School of Soochow University. By devoting himself into the design, composition and applications of complex catalysts, the design and composition of complex (clustercompound) photoelectric materials, the cycloaddition reactions in the matrix of photic drivingcoordination polymer, and the synthesis and reactivity of metalloproteins and metallic center in enzymes, Professor Lang has made some significant achievements. In the past decade, Professor Lang has hosted 8 projects granted by the National Natural Science Fund, and over 20 projects granted by provincial-level funds. Meanwhile, Mr. Lang has published over 350 papers in core chemistry periodicals, including Chem. Soc. Rev., J. Am. Chem. Soc., Angew. Chem. Int. Ed., and Coord. Chem. Rev., and his papers published following the Science Citation Index have been cited by other scholar for over 5000 times. Besides, Professor Lang also holds 22 authorized patents in China. As for the awards and other honors, Professor Lang was conferred with the First Class Award for Science and Technology Progress by the Ministry of Education in 1995, the Second Class Award for Science and Technology Progress by China Petroleum and Chemical Industry Association (CPCIA) in 2009, the Second Class Award for Science and Technology Progress by Jiangsu Province in 2010, and the Second Class Award in Research Achievements (Natural Science) by the Ministry of Education in 2011. In addition, Professor Lang was also evaluated as a national excellent teacher by the Ministry of Education in 2004 and earned the special government allowances of the State Council in 2005. In 2006, Lang was selected as one of the Young and Middle-aged Experts in Jiangsu Province with Significant Contributions. A year later, he was also selected as a national candidate for the New Century Hundred-Thousand-Ten Thousand Talents Project. In 2008, Professor Lang was considered as a perspectivescholar in the Science and Technology Innovation Team under the “Qing Lan Project” for the Higher Institutions of Jiangsu Province, and was among the first group of Dongwu Scholars of Soochow University. In addition, Lang was also selected as one of Young and Middle-aged Leading Pioneers in Science and Technology in the secondary layerof the fourth 333 High-Level Personnel Cultivation Project (Project 333) of Jiangsu Province, and earned the National May 1st Labor Medaland the Significant Contribution Award in the third Project 333 of Jiangsu Province in 2011. As a leading teacher in the discipline of inorganic chemistry of Soochow University, Professor Lang also serves as a member of the Inorganic Chemistry Discipline Committee of Chinese Chemical Society, a member of the Professional Crystal Chemistry Committee of Chinese Chemical Society, and a director of the tenth Board of Directors of Jiangsu Society of Chemistry & Chemical Industry. Furthermore, Mr. Lang also stands as the member of the Global Advisory Editorial Boards of Scientific Reports and Dalton Transactions.